Buttermilk pie and blueberry pie is ready for Pi Day. As I write this column it is Pi (3.14) Day. Or should I say, Pie Day? Mike is in Toledo today and headed back to Columbus tonight, so I thought I would make him a special pie. He loves two-crust fruit pies — cherry, apple, black raspberry, blueberry, peach — almost any kind. 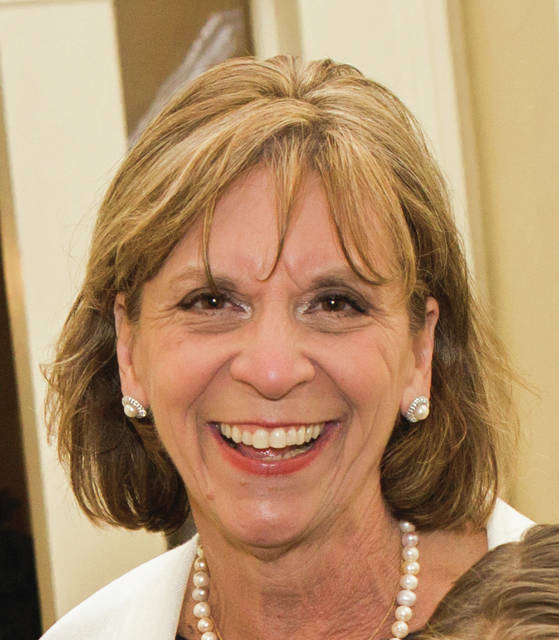 But today, since I’ve been researching the recipes of other first ladies, I thought it would be fun to make one of Janet Voinovich’s recipes. It is a recipe without any fruit, an old-fashioned cream pie. Many cooks made recipes like this one in late winter and early spring when they had no fruit. And it is very good. This recipe is in the special edition cookbook that Janet and I made together in 1990, Fran DeWine and Janet Voinovich’s Family Favorites. Mix well and turn into 9 inch unbaked pie shell. Bake at 375 degrees for 40 minutes or until set. Now that Lent has begun, I am also looking at some of my meatless meals. One of my favorites is potato soup. My mother, who didn’t really use a recipe, would sauté some chopped onion in butter. Then she’d add some diced potatoes, salt, and water to cover; then simmer them, covered, until they were fork tender. Next she’d add milk and when the milk was almost at a simmering point she’d drop simple little dumplings (made of 1 egg and 1/2 cup Bisquick, forked together) on top and covered the pan until the dumplings were done, careful not to let the soup boil over. Lastly, she’d season with salt and pepper and a little butter. Mom liked this recipe because it could be expanded for several people. The dumplings made it hearty and it was nice for a cold Friday night. Another of my favorite Lenten meals is my sister Cindy’s Fish Florentine. It was one of Becky’s favorite dishes and I frequently made it on her birthday, and sometimes still do. Many times if I am serving a buffet dinner, and want to give a choice between fish and meat, I make one pan of lasagna, and one pan of Cindy’s Fish Florentine. Then everyone’s happy. Pour over fish. Bake at 375 degrees for 20-25 minutes. 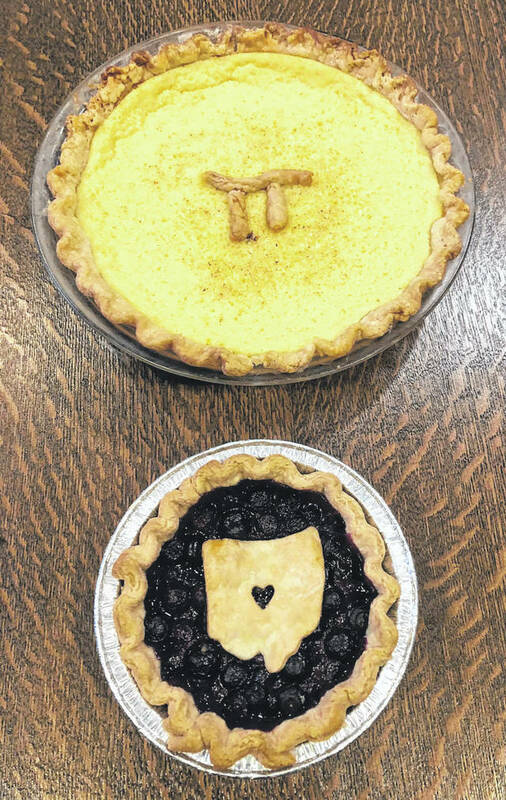 https://www.xeniagazette.com/wp-content/uploads/sites/32/2019/03/web1_PiDay.jpgButtermilk pie and blueberry pie is ready for Pi Day.